Poll: How far will the C's go in the playoffs? How far will the C's go in the playoffs? Re: Poll: How far will the C's go in the playoffs? I expect the Celts to lose to the Bucks in round 2 in 5 games. Milwaukee holds home court and wins a tough one in Boston, drops the other Boston game, closes at home in Game 5. The Bucks have the MVP, they have home court, and they've been the best overall team throughout the regular season this year. The Celts have a decent roster to slow down Giannis; unfortunately they are likely to struggle to contain Middleton. I expect Eric Bledsoe will have some revenge, as well. If Mirotic is back that will be a problem for the Celts as well. I think the Bucks can beat the Celts without Brogdon, but if they have Brogdon healthy, that just makes the matchup even more in their favor. Bottom line, the Bucks have a SRS of 8.23 whereas the Celts have a SRS of 3.91. There is a huge gap between the two teams. The Bucks should win comfortably. Last week weren't you talking about how Indy would beat the C's if they got the 4 seed? At least you've moved off of that stance (hopefully), now you've moved on to Milwaukee. You guys can't stop the Freak! You guys can't beat a hot team like the Sixers, they have Embiid AND Simmons!!! You guys can't get past LeBron!!! And when up 3-2 against Cavs... doesn't matter, nobody from the East can compete with the West!!!! Then when we lost to Cavs.... I TOLD YOU SO!!!!! But after seeing those SRS numbers, Celtics simply can't compete with a team that has a higher one. Regular season success guarantees playoff success. I suppose TOR has a better shot at beating GSW than GSW has at beating MIL. Looking back to last playoffs when the Celtics beat the Bucks, we did have some trouble sporadically with Middleton, but also Parker for some stretches. In our two losses this season, we were missing multiple guys (Horford, Hayward, Morris, Baynes). Celtics are obviously a very different team than last season's playoff squad. When they play together and focused, this squad is clearly better. How much better is Milwaukee? We shall see when everything is neutralized and variables (sporadic "rest" or scheduling imbalances that don't show up in playoff series) are minimized. I'm comfortable forcing other guys to beat us besides Giannis. I think if the refs don't allow us near him and he gets his calls (and non-calls), it's a very tough series. But always believed Celtics are more worried about the Raptors, who are their toughest matchup (perhaps more than anyone out west). I think they almost strategically backed off the 3 seed so they could see what the Sixers can do against them and trust they can handle the Bucks. I think Stevens stopped worrying about our SRS long ago. He cares about getting this time right, not winning every regular season game we could. No team ever went undefeated at home and winless on the road en route to a championship. You have to win on the road at some point. Can't be scared to play on the road, in any building. I'm picking them to lose in the Finals. The reemergence of Hayward's confidence and athleticism changes everything IMO. His recent play has been completely different than the brief flashes we saw earlier in the season. The current version of Hayward gives Stevens way more rotation flexibility, especially when it comes to limiting the minutes of Morris and Rozier. My gut tells me that we will see the best of Kyrie, Horford, and Hayward throughout the postseason. It's going to take a lot of pressure off of Tatum and Brown. kinda depends on if Gordy is Utah Hayward or disappears into a non factor . Hate to throw it off on him, but he is a max dude and was hired to take us to the promised land . He earns the big bucks . This team is poorly coached and poorly constructed. They will get past Indiana only because Oladipo is out for the season. If Oladipo was healthy all season the Pacers would have home court and that series would be a toss up. They will lose to Milwaukee and if by some miracle they don't, they will lose to Toronto instead. I don't have any confidence in this team doing anything meaningful in the post season. Beat Indiana in 5 games. Lose to Milwaukee in 6 or 7 games. But I do think we have a better shot at making the ECF by playing Milwaukee as opposed to Toronto in the 2nd round, so there's that. Lose in the Eastern Conference Finals to Toronto in 7 games. BUT...they do stun the NBA and eliminate Milwaukee in 6 in the 2nd round. While I am at it, I'll predict the West. Houston beats Toronto in 5 games in the NBA finals. Yes, and if the Celts had ended up with the 5th seed, I would still be inclined to pick against them. The Celts have looked pretty good the last couple of weeks, but we have a whole season of evidence that they can't be trusted, especially on the road. 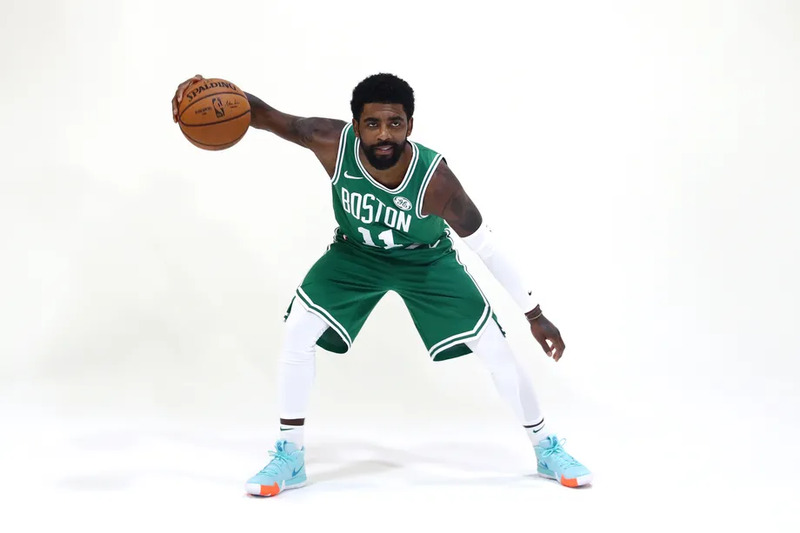 People are talking about the Celts like they are a "flip the switch" team, but that implies that this team has ever had the "flip" switched to "on" at some point in the past. When has this group -- Kyrie, Smart, Jayson, Jaylen, Horford, Hayward, Morris, Rozier, Baynes -- played at the level of a contender for more than a couple weeks at a time? We saw some of these players make a deep run last year, but that was a different team in a very different Eastern Conference. I don't think the "flip the switch" logic applies here. Title of course, is this a real question? While the Celtics have shown an ability to compete against the elite teams in the East (mostly at home), I agree that they don't fit the mold of a typical "flip the switch" group. That said, my growing confidence is predicated on Hayward turning the corner. The past few weeks are completely different than flashes from earlier in the season. A lot of things will fall into place if he's playing with aggression on a nightly basis. This might mean that they lose a 7 games series against the Bucks or Raptors. What I don't envision is the Celtics going odown easily against either team. I voted banner 18 because I think we have a decent shot at getting there and once there I can't say we dont win it I think this is the post season that Jaylen really makes a name for himself and at times carries this team to victories. That is not meant to take anything from Kyrie, Al or Tatum. During the season the players were all trying to figure out their roles and many had some conflicts there but now that the playoffs are here everyone knows their role-WIN OR GO HOME! It seems odd that we have basically limped into the playoffs and yet are going to play our best ball of the year but I feel that is what is about to happen.